An association of counsellors & psychotherapists committed to providing quality early intervention and support for children and young people and those who teach and care for them. Lisa has 30 years’ experience of working in education, counselling and training. She is a practising therapist and counselling trainer. 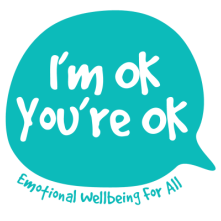 Her founding vision for I’m OK, You’re OK is to be able to offer top quality counselling and well-being services to schools through professional counsellors and trainers, with a wide range of experience and flexible skills. Evidence shows that therapeutic early intervention for children and young people works! Where this is backed up by emotional literacy training and support for staff and families - long term resilience can be developed in schools and homes, helping to avert future suffering and lost potential by children, young people, families and educational staff. Lisa believes that the most effective way to bring about any positive change is through listening to what is needed, building trusting relationships, and working proactively together in incremental steps. Cathy has 15 years’ experience of working with children, young people & their families in various roles, mainly in educational settings with those at risk of disengaging. As a counsellor she builds strong, warm therapeutic relationships, often working collaboratively with relevant others to achieve the most effective outcomes. Cathy is excited about using the knowledge from emerging neuroscientific research to support clients and delighted at how this compliments her passion for working playfully and creatively, with kindness and compassion. ​Tracey has supported children, young people and their families in Primary and Secondary educational settings for over 17 years, through counselling, advocacy and working in close liaison with multi-agencies. As a counsellor, Tracey works creatively and compassionately, using a wide range of different models to engage and support young people and to create the safe environment and therapeutic relationship needed for positive change. Lynn is Managing Director of Quality Training UK, and works extensively as a freelance trainer and consultant, developing new courses and workshops for professionals working with children and young people, as well as ‘in house’ training packages for both the voluntary and statutory sectors, throughout the UK and Europe. She has worked extensively with children and young people in groups and on a one to one basis for the past 40 years. She is a Certified Integrative Psychotherapist, a Certified trainer and supervisor of Integrative Psychotherapy and a Certified Transactional Analysis Psychotherapist. Della Menday is a highly qualified and experienced counsellor, supervisor and trainer. She has worked with children and young people for over 40 years and has specialised in working with and supervising those working with children and young people. Della has delivered training workshops for organisations including Quality Training UK, Contact Point, Help Counselling and The Iron Mill Institute. Themes include therapeutic play and creative arts, sandplay therapy, attachment theory, separation anxiety, and story work. Jo has worked with young people and their families in various settings over the past 20 years. She has particular experience in working in educational settings, with children and young people who have faced barriers in their life and learning. Since qualifying as an Integrative Counsellor in 2011 she has worked for an FE & HE College as a Student Counsellor. Jo is passionate about enabling children and young people the opportunity to become healthy and happy adults and works in a variety of ways in order to do this. Mark is a practising Counsellor, Psychotherapist and also Business Advisor to I'm OK, You're OK. He has experience working with children and adolescents as well as adult clients. 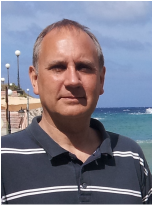 In addition Mark has tutored on a two year BACP accredited Advanced Diploma in Integrative Counselling, and has a passion for research.